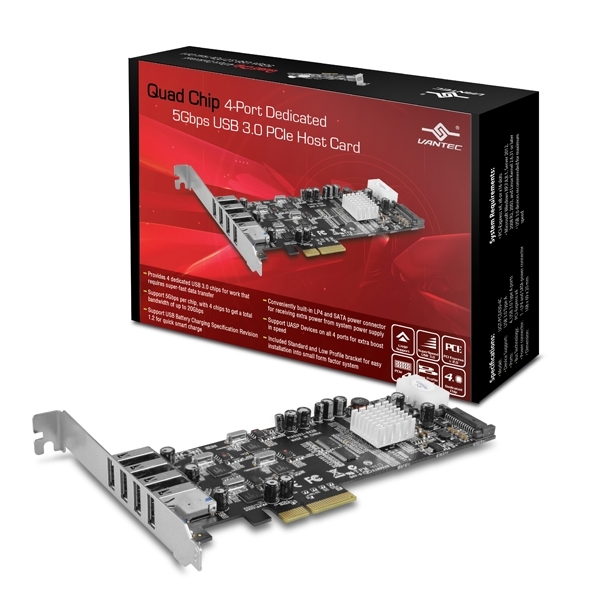 The Vantec Quad Chip 4-Port Dedicated USB 3.0 PCIe Host Card is design to offer the best USB 3.0 performance possible. 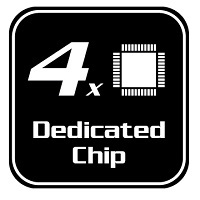 This unique design with 4 dedicated chips provides 4 dedicated fast lanes with the maximum bandwidth. 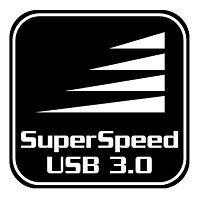 Using 5Gbps per chip and with a combine total of 20Gbps, this translates in to superfast file transfer and work done. 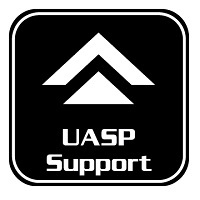 This Quad chip Host card incorporate UASP technology with the aid of the latest OS and UASP devices will further enhances and put the speed into hyper drive. 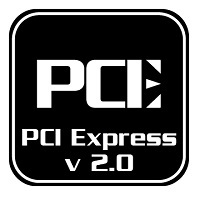 This card comes with lots of additional features, like support for USB Battery Charging specification, Intel XHCI Compliant, PCIe 2.0 x4 interface, built in power connection for LP4/SATA and backward compatibility to all your other slower USB devices. This card simply will increase your productivity by many times. Support USB Battery Charging Specification Revision 1.2 for quick smart charge. 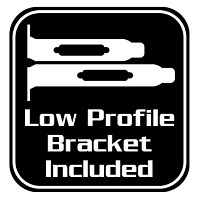 Compliant with Intel’s eXtensible Host Controller Interface (xHCI) Specification Revision 1.0 for compatibility to market standard. 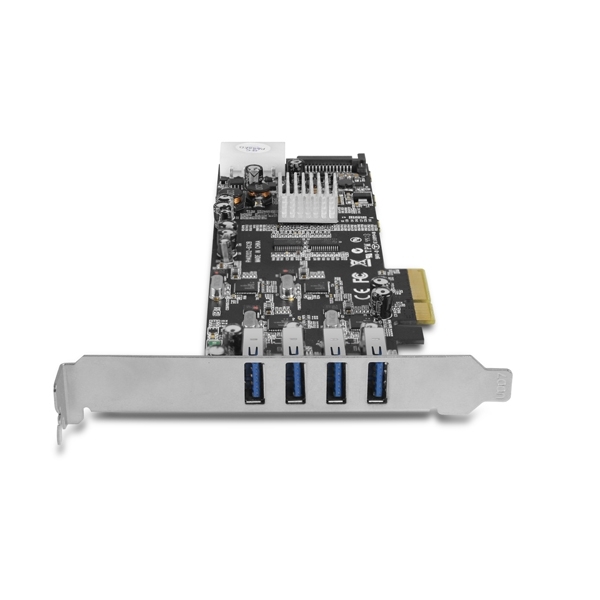 Supports 4 downstream ports with flexibility for all speeds from 1.5Mbps to 5Gbps so that fast and slow devices can co-exist together without slowing each other down. 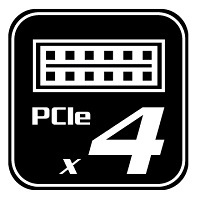 Conveniently built-in LP4 and SATA power connector for receiving extra power from system power supply.